I seldom visited Tanah Lot at midday, and I didn't know that on the way to the temple we could find holes filled with crystal clear water. There were even small fishes inside. 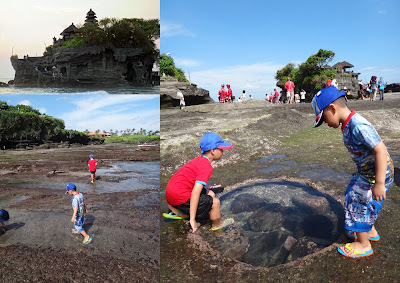 Kiddos insisted to get into the hole, so we let them in, and it was the highlight of kiddos' visit to Tanah Lot. While for my mom, tanah lot is the place to buy Balinese Mukena ("mukena" is the clothes woman muslim wear during the prayer time). 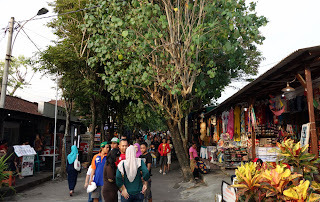 We were informed by a friend that she could find lots of Balinese Mukena in Tanah Lot each for IDR 80,000 (I bought one in Jakarta cost IDR 120,000). 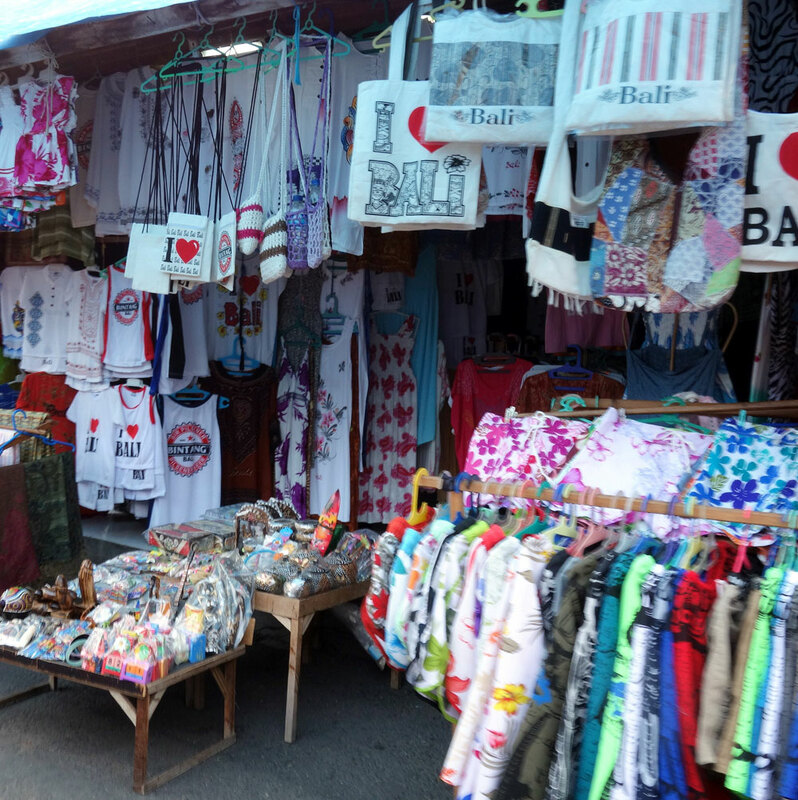 Not only Mukena, we could find lots of other Bali's souvenirs at Tanah Lot. And yes of course we enjoyed sunset from Tanah Lot. 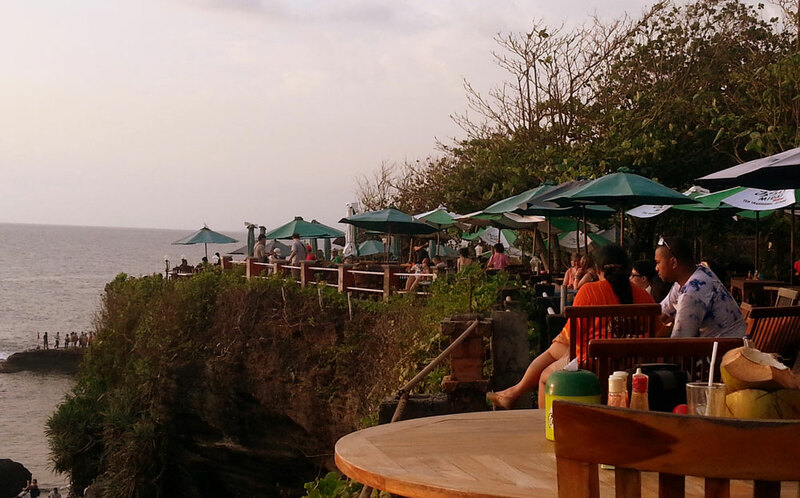 Now they have the sunset viewpoint where we could relax enjoying a fresh coconut, while waiting for the sunset. 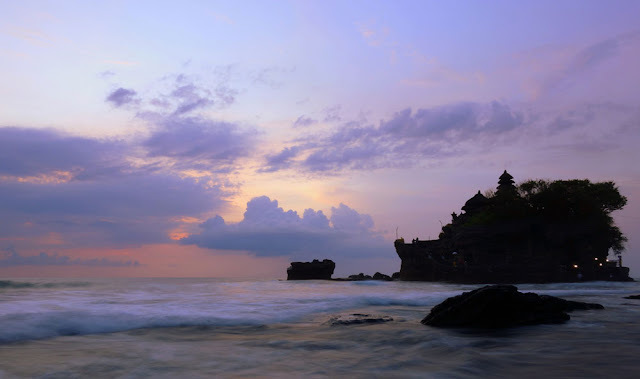 We were fortunate to enjoy a beautiful sunset from Tanah Lot that day. 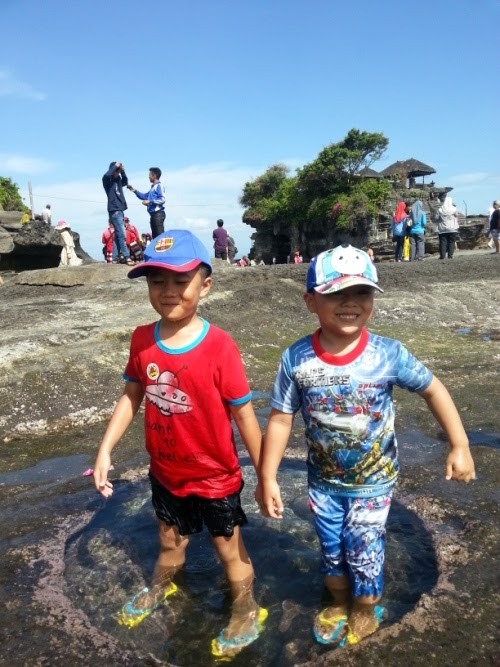 Especially because it was rene's first visit to Tanah Lot. The golden sky turn into purple after the sunset, indeed it was my fave blue hour, after I have seen one in Promthep Cape, Phuket. Balinese mukena bedanya apa sama mukena yang biasanya,Kak ? Iya Kak..Tanah Lot memang cantik..
Kemaren gak sempat mmapir ke cafe yang di atas tebing..keken kayaknya pemandangannya dari situ..
Lain kali mampir Kak Indra, romantis deh di kala sunset..